488 pages | 41 B/W Illus. With the shift of the global economic gravity toward emerging economies and the roaring economic growth of the past three decades in China, East Asian catching-up growth strategies have profound implications for latecomer economies. While there are many handbooks on entrepreneurship in general, there is no reference on East Asian entrepreneurship. This is the first of its kinds in the market. 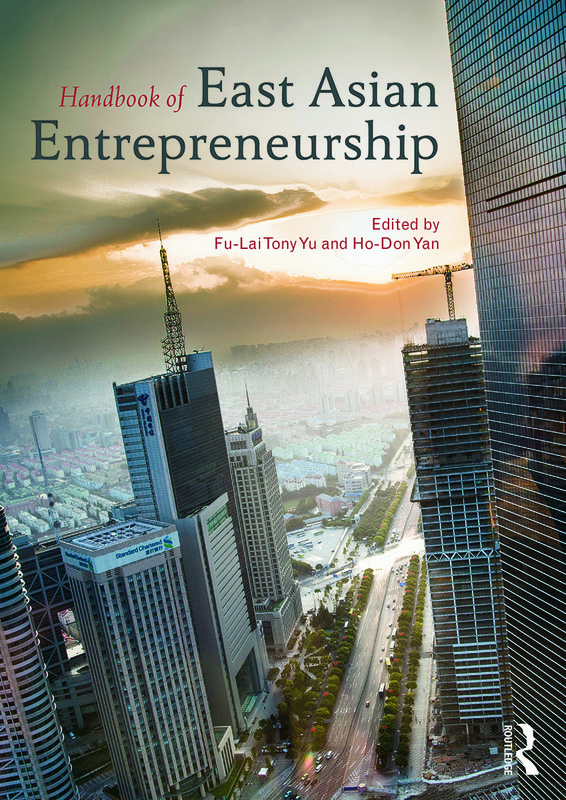 The volume provides a useful reference for those who want to know East Asian entrepreneurship and business systems. It also provides many excellent cases and illustrations on the growth of entrepreneurial firms and the rise of branded products in East Asia. Policy makers or scholars who are interested in entrepreneurship, small and medium sized enterprises, Asian business systems, international business, innovation and technology management, economic development, strategic management and East Asian studies would benefit from this volume. The volume contains two parts. The first part is the key concepts associate with entrepreneurship and East Asian firm growth and transformation. The second part presents cases of entrepreneurial firms and their founders in East Asia, including Japan, South Korea, Taiwan, Hong Kong and China. With the handbook, scholars, students and policy makers can grab some basic ideas how entrepreneurs and firms in East Asia compete and survive in the world market and understand why and how East Asia economies can emerge as one of the most dynamic regions in the world. Part II cases cover variedly from manufacturing to services industries, and specifically including traditional and newly corporations ranging from toys, convenient stores, fast fashion, high-tech, to catering and service. Written by experts in their respective areas, Handbook of East Asia entrepreneurship is an excellent review of theories, policies and empirical evidences on important topics in Entrepreneurship in East Asian economic development. The book is both a superb teaching tool and a valuable handbook in development economics. Fu-Lai Tony Yu obtained his PhD from the University of New South Wales (ADFA). He taught at Hong Kong Baptist University, Hong Kong Polytechnic University, Monash University (Australia) and Feng Chia University (Taiwan). He is currently professor of economics at Hong Kong Shue Yan University. His research interests include entrepreneurship, small and medium sized enterprises, Austrian economics, governmental economics and Asian business systems. His latest books are New Perspectives on Economic Development: A Human Agency Approach, Wageningen Academic Publishers, 2011; Entrepreneurship and Taiwan’s Economic Dynamics, Heidelberg: Springer, 2012; International Economic Development: Leading Issues and Challenges, London: Routledge, 2014. Ho-Don Yan is a Professor at the Department of Economics, Feng Chia University, Taiwan. He received his Ph.D. in economics from the State University of New York at Albany. His research fields include open macroeconomics and entrepreneurship. His research works have been published in Academia Economic Papers, Empirical Economics, Global Business and Economics Review, Global Economics Review, International Advances in Economic Research, International Entrepreneurship and Management Journal, International Journal of Economics and Business Research, Journal of Asian Pacific Review, Journal of Small Business and Entrepreneurship, Panoeconomicus, Quarterly Review of Economics and Finance, Taiwan Economic Review, etc.